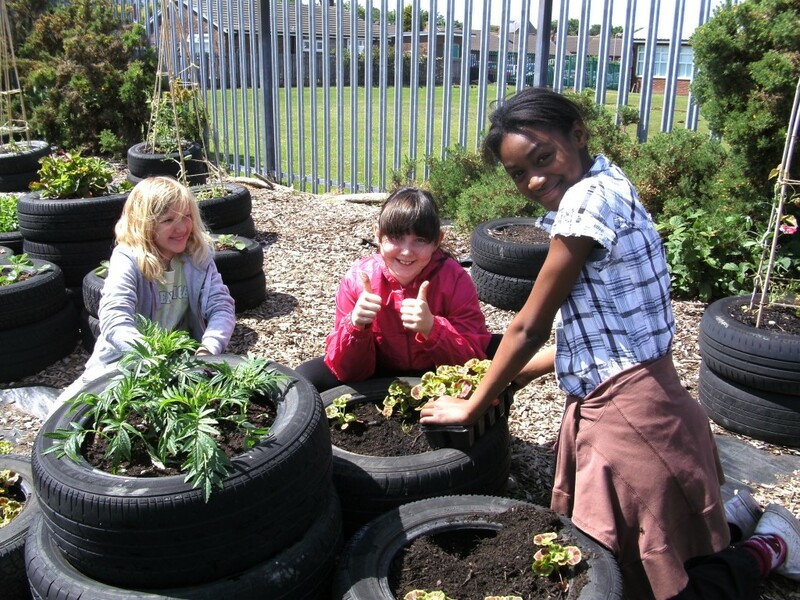 The Full Circle Food Project (FCFP) is a registered Charity that educates people living in Northumberland about growing food to eat, healthy cooking on a budget; and supporting people to lead healthier lifestyles. We place community members at the heart of service delivery. The Full Circle Food Project has gained a solid reputation in a short time with just a couple of staff and a handful of loyal and passionate volunteers. We have secured funding from local and national organisations including the Coalfields Regeneration Trust, the Community Foundation, Newcastle Building Society, the Peoples Postcode Lottery, BBC Children in Need, Northumberland County Council,Tudor Trust and Northumberland Children’s Trust to support our work to date. 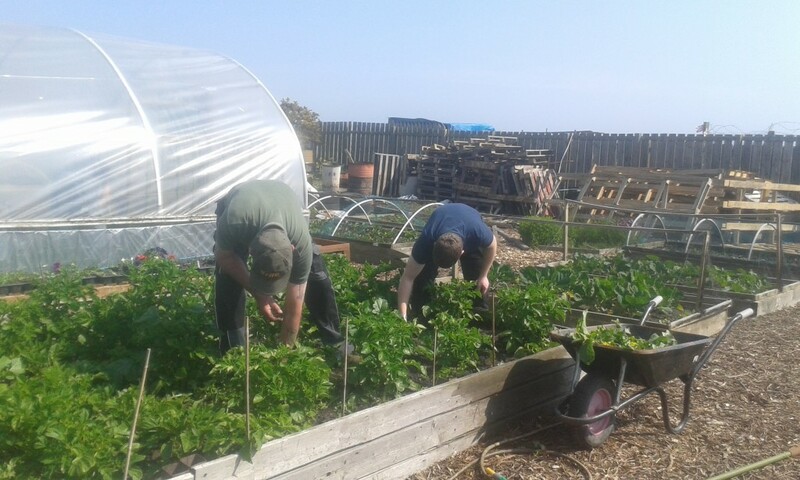 GROW – we have kitchen gardens at Hirst Welfare Centre and a wonderful large community garden space in Seaton Hirst, Ashington, both available to individuals, families and groups. 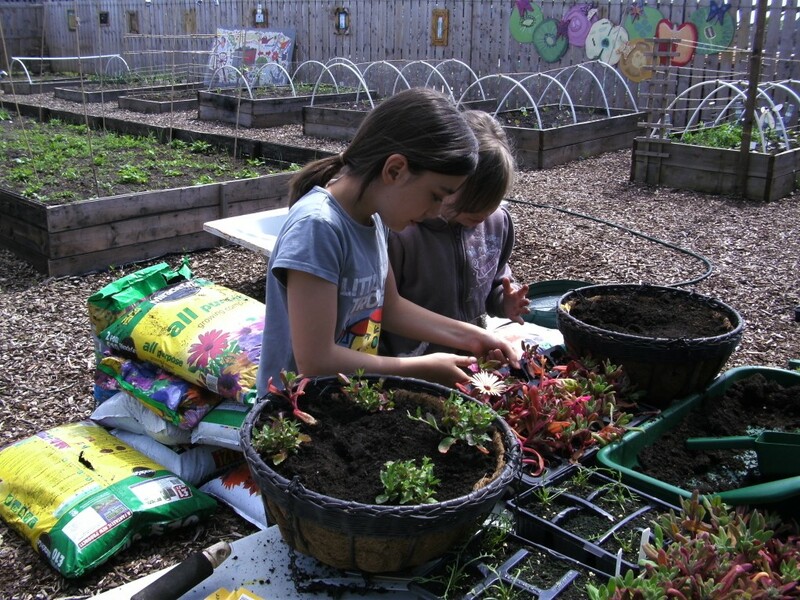 You will be supported to learn about growing organic and sustainable food, that tastes good too ! Recently we have equipped our large shed with cooking facilities and a social space to have a cuppa and a chat. We always welcome new volunteers to help. If you can give you a few hours of help, we can offer you support, encouragement and a worthwhile experience. We ask for no previous experience or skills, but can support you to move into training or employment if that is your wish. COOK – The Full Circle Food Project offers hands on cooking experiences for all ages from families with young children to older people living alone. The emphasis will always be on health, taste,limited budgets and fun. Challenge us to show you how to make a tasty, nutritious meal for very little money. The cooking sessions we offer vary from using a structured kitchen environment, to something a bit more ‘wild’ outdoors, and to something in between. For organisations/groups who are interested we have the equipment to come to you. EAT – nothing tastes better than food that you have grown and cooked for yourself, we take away the mystery of how to do this ! But why eat alone? 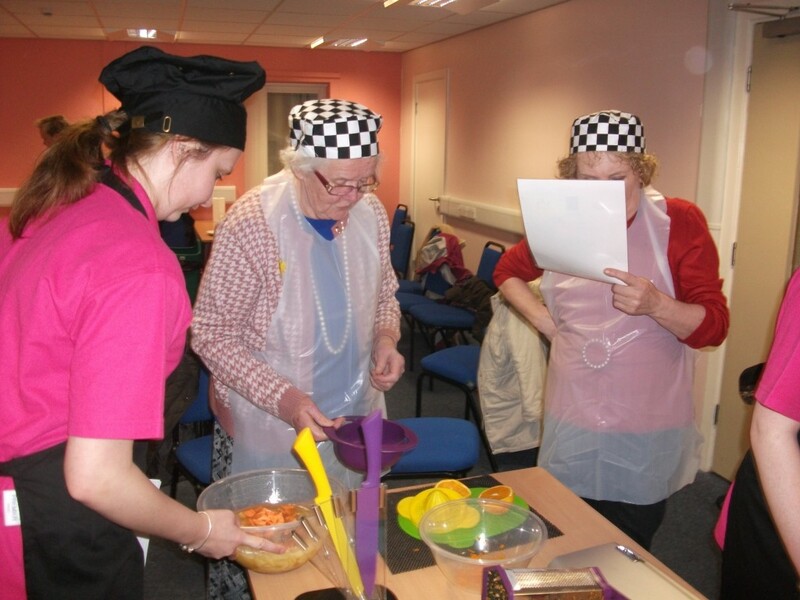 Come along to one of our sessions and have fun cooking and eating with others. This could be a cuppa down at the community garden or a hot meal eaten together after cooking. The project will increase skills levels, it will address the effects of poverty, it will reduce incidences of diet-related ill-health, it will make our communities more socially inclusive and it will make the charity more sustainable.